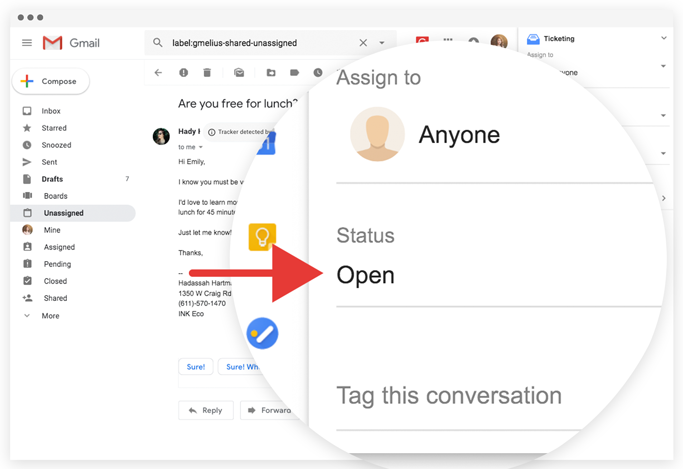 How to use a shared inbox inside Gmail? 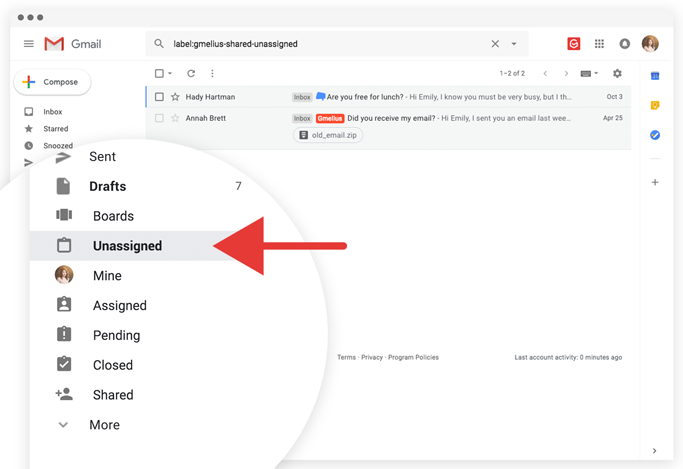 With Gmelius Shared Labels; you can easily share, delegate and efficiently manage all email communication right from your inbox. 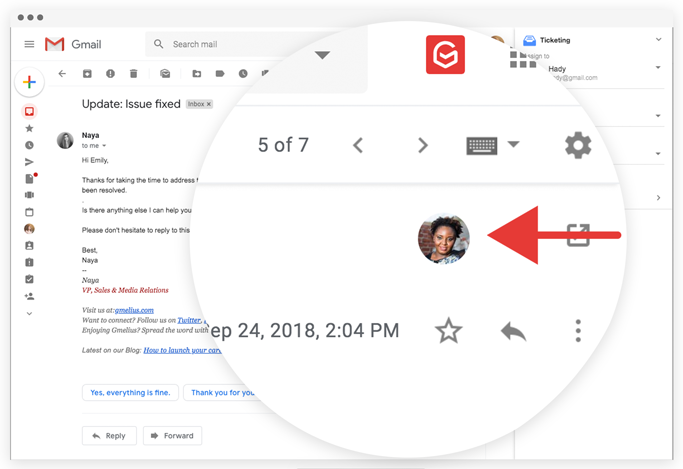 Make sure you have an active Gmelius Business (legacy), Team or CRM Subscription for your shared mailbox and your team, and your Shared Mailbox Configuration has been set. 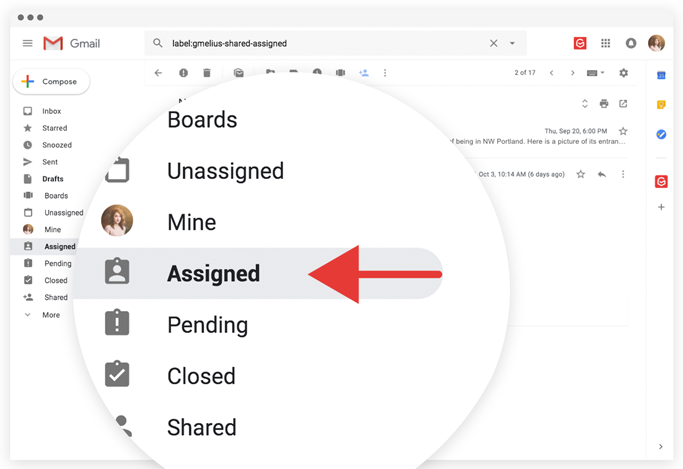 For further assistance on how to set up your Shared Inbox Configuration, see here. 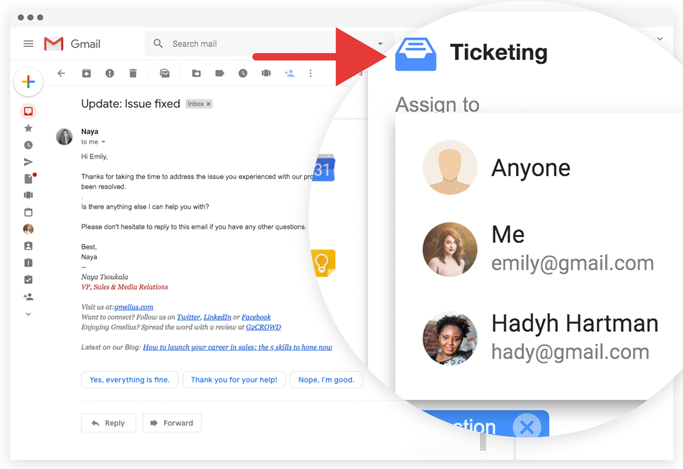 In the following example, the recommended configuration for customer support (Shared Inbox Configuration with Ticketing workflow applied) has been used. Where can I find newly shared customer queries? When any new email reaches your support mailbox,i.e., support@acme.comit will appear in the 'Unassigned' section (left Gmail Pane) both in the support mailbox and in all users, i.e., john@acme.com & jane@acme.com respective inboxes. 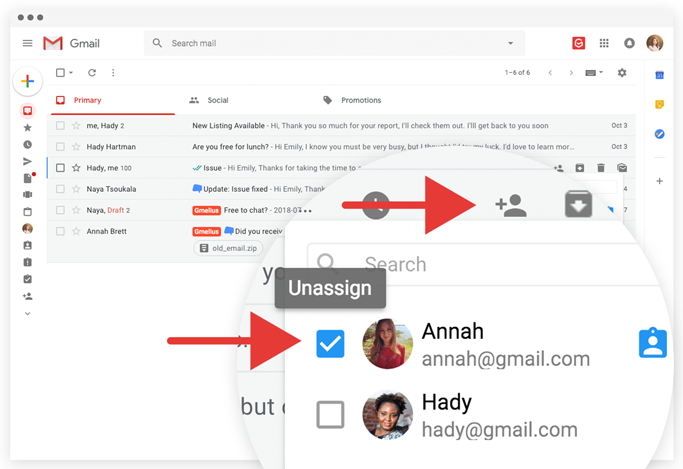 You can further assign an email to anyone in your team. 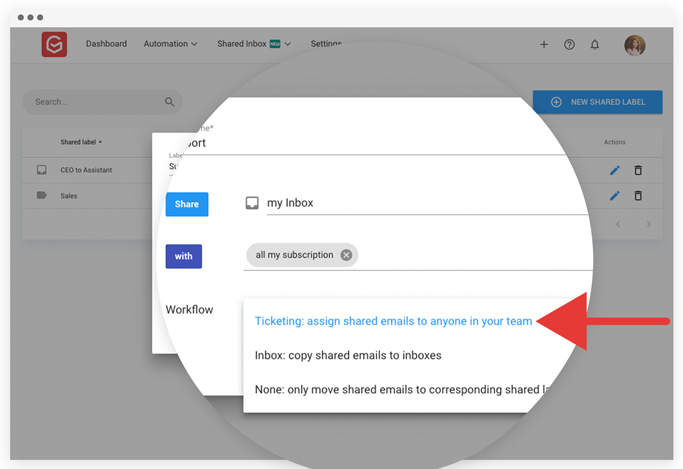 To use the email assignment feature, you need to have selected the Ticketing workflow in your Shared Inbox configuration. 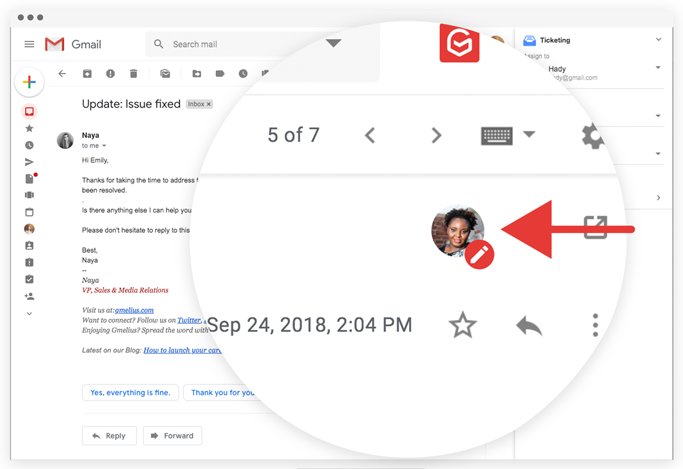 You can do so either directly from your email list view or from inside an email conversation by using the Gmelius ticketing widget located in your right Gmelius pane (click on the Gmelius logo, if not automatically displayed). 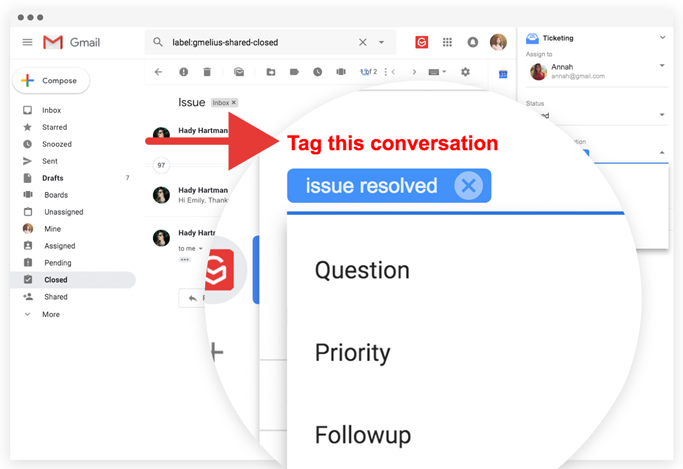 Alternatively, from the email list view: From the drop-down list of team members the conversation has been shared with, double-click the already ticked grey box of the team member you wish to assign the conversation to. The box once the conversation assigned will be reverted to blue. 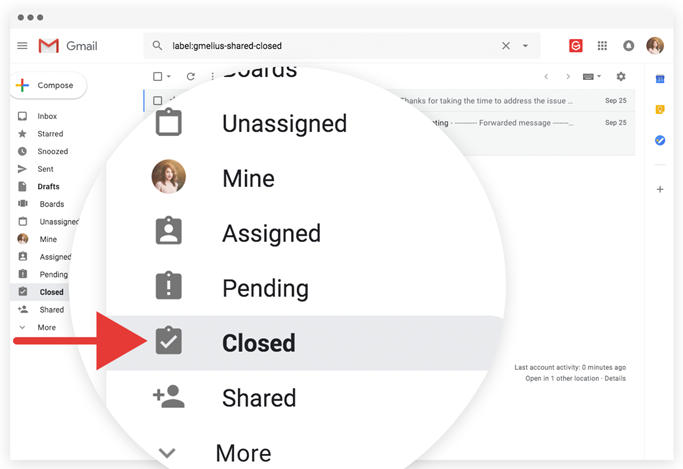 OPEN is the default, initial status of an email in your support mailbox. When a new email comes in the 'Open' state will be automatically attributed. The 'Open' state indicates that the email needs your attention. 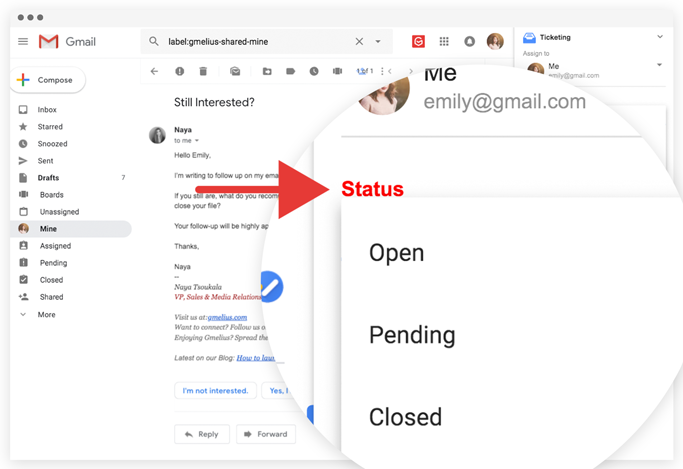 PENDING You can set an email conversation to 'Pending' state if you are waiting to hear back from a customer, or you just need to time to gather more information or resolve the matter. 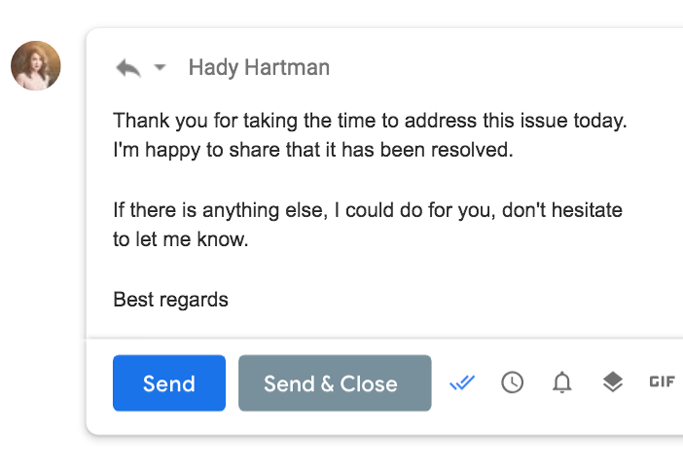 This status can be set further on emails where you have sent a reply, but the complete resolution has not been done. 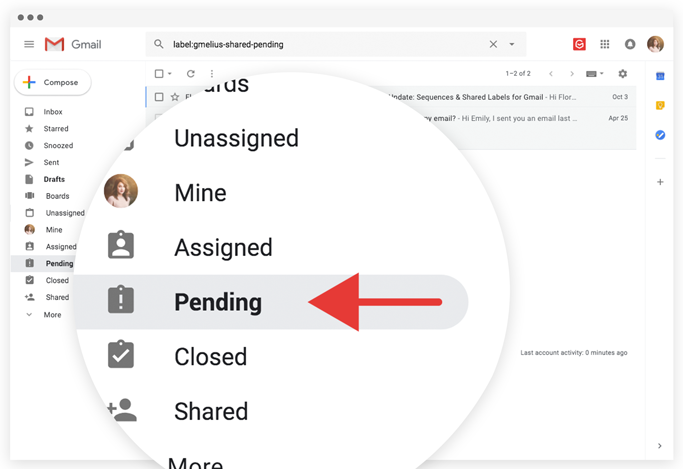 You can locate all 'Pending' emails by clicking on the 'Pending' label in your left Gmail pane. CLOSED When an email (or email conversation) has reached its logical resolution, then the user can change its state to 'Closed'. The 'Closed' status indicates that the email is resolved. Click on the 'Closed' folder to see the list of 'Closed' emails. 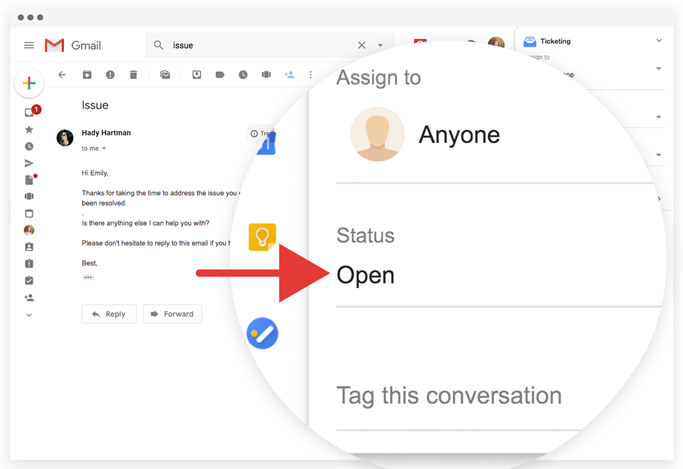 This option alerts a user that is going to reply to an email in the Shared Mailbox when someone else from the team is already viewing or replying to the email. This is very useful in customer support, where customer queries reach many users. 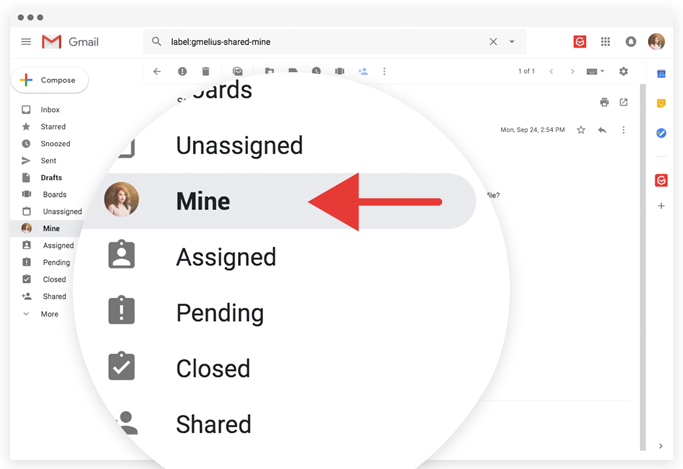 How to configure a shared inbox?